Kane County Cougars Black Friday Special! 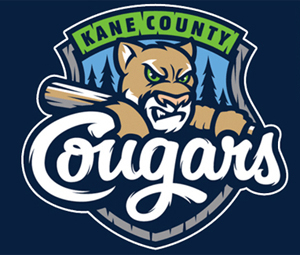 For every $50 in Kane County Cougars gift certificates purchased online receive $20 in Kane County Cougars cash. Offer good through Sunday, November 27, 2016. Can be used on tickets, souvenirs, parking and food during the 2017 season. And, the best part is there’s no limit to how much Cougars cash you receive! Cougars gift certificates are a great way to get ballpark souvenirs, even tickets for your friends and family. Purchase the Black Friday special and you’ll receive the Cougars cash certificate(s) by mail the week of November 28. Plus, for every $50 you spend in gift certificates, you’ll receive one (1) entry into a drawing for a complimentary party suite that includes 20 tickets! Please note that Cougars Cash is not valid towards the purchase of a group outing or ticket package. Don’t delay: Click Here to purchase this Black Friday deal today! Visit their website for more information.